Hey TAY, guess what. 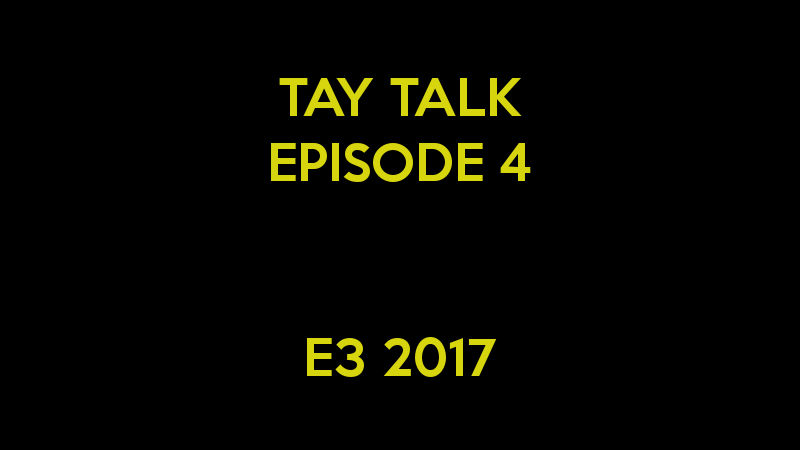 TAY Talk, the official TAY podcast, is back! E3 just happened so it was the perfect time to revive it. Hopefully it won’t be 7 months before the next episode. Rer has been far too busy, so I’ve taken over the full job of hosting the podcast, and this time I welcomed SirMarth01 back to the show, and I was also joined by TAY regular DreaPoetic and Mortal Dictata from ODeck. This month’s topic was, of course, E3. The episode is available now to listen on the TAY Gaming YouTube channel and will be up on iTunes and other podcast apps within the next 24 hours. If you’re interested in being on a future episode of TAY Talk, give me a shout and I’ll know to contact you when I’m looking for guests. Also, I’m looking for someone to make me a better podcast header image I can use for the posts here on TAY and every time there’s a new episode. It would be a huge help.